The mood in Brussels on Brexit is hardening against the UK and the indecision in London is starting to cause long term damage to our reputation, credibility and above all our influence. To put it simply, ‘can we be trusted?’ The issue of trust now goes to the heart of the Brexit crisis. After two years negotiating a deal with the UK, there is disbelief not just that the UK Parliament has rejected it twice, but that it has done so without any clear alternative being set out that would command a majority in the Commons. In the the late 1960s and 1970s, the United Kingdom was frequently called the “sick man of Europe”, we appear to be stuck with that label once more. Not surprisingly some important players here in Brussels just want us out, ASAP. Why does this matter? Firstly, even to secure an extension to Article 50 we need good will, and that must be built on trust. An extension requires unanimity and whilst in normal times an extension would be pretty much automatic, it’s likely one or more member states will now demand a price from the UK or the EU to even agree a short extension. A longer extension will surely prove very expensive indeed. Second, for trade and transport, Europe is our main market and will remain so whatever or whenever Brexit occurs, and a loss of trust will have an impact on investment, sales, and ultimately our economic performance. Above all if we are to ultimately, and in a timely fashion, secure a good comprehensive trade deal to ensure trade to secure maximum market access with minimum friction, we need trust. Third, and finally, whatever Brexit we have (if any) as I have argued now for many months, transport will still be tied to EU regulations for years to come, potentially forever. And not just existing but new rules too. The chances of us exerting any influence at all as a third-country will be severely limited if we are no longer deemed to be a trusted partner. So we need to restore trust. Our MPs in Westminster are inevitably blamed for the debacle and I’ve lost count the number of times I’ve heard people say Brexit would all be fine without the politics. But our politicians reflect the deep schism in British society. A state of crisis exists in the Commons because Britain is divided. And that state of crisis is not going to be resolved, or trust restored, even if the Withdrawal Agreement (eventually) sneaks through. We urgently need to build a new national consensus, and whilst MPs can’t be expected to heal the divisions on their own, they should be expected to demonstrate leadership, vision and courage at a time of national crisis. This week’s song of the week, is Third Time Lucky (First Time I was a Fool) by Foghat. 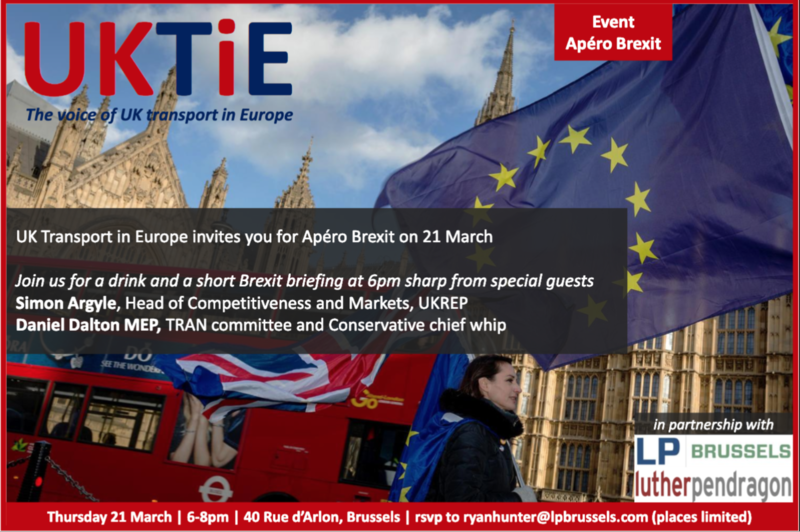 Join UKTiE this Thursday for an Apéro Brexit reception at 18:00 on Thursday March 21st at our offices on Rue d’Arlon 40. Taking place just over a week ahead of (the expected) date of the United Kingdom’s departure from the European Union*, this will be a timely opportunity for us all to gather informally and discuss all matters Brexit. Please find more information below. This weekend saw Eurostar hit with great disruption to its service due to industrial action by French customs workers over pay, conditions and preparations for Brexit. Over the weekend, Eurostar’s issues started with five cancellations and queues of up to five hours as Eurostar staff and other French customs officials sought higher pay, better working conditions and more staff to check British travellers’ passports after the UK leaves the EU. The issues continued today with three of the scheduled fifteen trains being cancelled and Eurostar advising against using its services before Wednesday unless “absolutely necessary”. This weekend’s issues come after a confidential report last month drawn up by the British government found that queues for Eurostar services at St Pancras could reach up to 15,000 passengers each day in the event of a no-deal Brexit. Eurostar has also indicated to the British government that in a worst-case scenario it would be unable to survive commercially for more than six to 12 weeks. The industrial action at Gare du Nord comes after work-to-rule action which began in early March in the French ports of Dunkirk and Calais, leading to long delays for trucks waiting to cross the Channel. The BBC reports that government will be forced to spend tens of millions of additional pounds to keep its no-deal ferry contracts in place if Brexit is delayed. The BBC says that extra payments will need to be made to two ferry companies, to cover their costs of preparing for a 29 March exit. Brittany Ferries said it had planned 20 additional weekly sailings – the equivalent of 2,000 nautical miles – employed extra staff, and moved 20,000 passenger bookings to accommodate the Department for Transport. 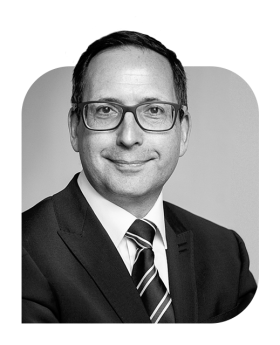 The article further highlights that a report in February by the National Audit Office (NAO) revealed that the deals with DFDS, Brittany Ferries and Seaborne Freight, worth more than £100m, contained no provision for the start date to be delayed beyond 29 March. 4. Congestion: What are we waiting for?